These HD IP restaurant security camera systems are most recommended for new security camera installations for restaurants. The CAT-5 cables are easier to run than traditional coax cables, and the HD IP cameras deliver 5-10 times the clarity of traditional analog cameras. 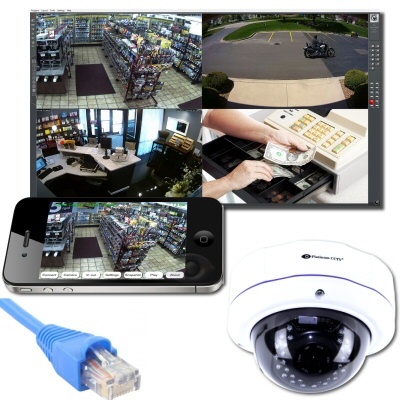 Each of these systems includes our 1080P or higher resolution security cameras with our AVM NVR software or MicroNVR recorders. Each of these systems is easily expandable as well.